Our astrology chart is a map of our “karma”. Karma basically means “action”. When we talk about “our karma” we talk about the actions we have “performed in the past including our past lives. These karmas are main cause of our current life situation. This turn out to be our karmic burden or our karmic blessing depending on whether we have performed positive or negative actions in the past. These Karmic burdens and karmic blessings manifest in the form of arishtha yoga and beniflc yogas in our horoscopes. These benefic and malefic yogas in horoscope play an important role in the success and growth of an individual. As we know that Intelligence and hard work are most important ingredients for success. But in our everyday life we see that there are hundreds of people who are intelligent and hard working still they are lagging behind and there are other people who get success easily. What is the reason behind this? No other science except astrology can answer this question. As an astrologer I believe that hard work and intelligence alone are not enough for success. A native gets desired results of his hard work only when his destiny favours him. Thus we can make a simple airthmatic formula for success. And that is- Success= Favorable fortune+ hard work +intelligence I went through various Vedic astrology classical texts to find out astrological combinations for name, fame, money and success and I ended up with hundreds of hundreds classical principals. It was very difficult to list all them out here so I shifted my focus to study the horoscopes of four notable business magnets by applying the parameters based on classical astrological principles. Business magnets are the persons who are world renowned, have achieved prominent position in the field of industry and who have amassed huge amount of money and fortune during the process of running their business. So let us see how destiny favored these business magnets by analyzing the map of their karma or their horoscope. Names of the business magnets are - Bill Gates- American business magnet and chairman of Micorsoft Company. He is consistently ranked among world’s wealthiest people. And was wealthiest overall from 1995 to 2009. He is one of the best known entrepreneurs in the personal computer revolution. His Family was upper middle class. John D Rockefeller- ( July 8 1838 to May 23 1937) He was German American oil business magnet. Founder of Standard Oil Company. He became the world’s richest person and first American worth more than a billion dollar. Adjusted to inflation he is often regarded the richest person in the history. His first job was assistant book keeper. Andrew Carnegie (Nov 25 1835 to Aug. 11, 1919) Scottish American industrialist and entrepreneur who led the enormous expansion of American steel industry in the late 19th century. Built Pitts burg’s Carnegie Steel Company. His first job was in US as a factory worker. He is often regarded as the second richest man in the history after John D Rockefeller. Dhiru Bhai Ambani. ( 28 Dec 1930 to 6th July 2000) Indian business magnet and entrepreneur who founded Reliance Industries. He took his company public in 1984 and introduced the stock market to the average investor. He started off as a small time worker with Arab Merchants. There is one thing which is common in the life of all these business magnets and that is they all are self made. They have risen from poverty to wealth as well as from obscurity to fame. There is no doubt that they have achieved this position due to their hard work, entrepreneurship and intelligent planning. But as an astrologer we can say that destiny also favored them for success and money. So let us see how destiny favored these business magnets by analyzing their horoscope. Parameters 1. There is a simple classical principal that the Rashis or houses which are aspected or associated by their lord or Karaka gets strengthened. 2. There is another simple classical principal that planets in exaltation, mool trikon, own house, friend’s house or posited with their depositor are strong. 3. Strong Lagna and Lagna Lord gives name, fame power position. 4. Paksha bali Moon is good for success. 5. An astrologer can judge the luck of the person by judging First house (name fame), second house (accumulated wealth), third house (entrepreneurship, initiative and hard work), fifth house (intelligence and planning), ninth house (luck and fortune) and eleventh house (gain of wealth). If these all houses are in strength we can predict that the person is lucky. 6. Effect of Sun, Moon, Mars and Rahu (poorna parmatma planets) on the first, fifth third or ninth house. Each planet represents one amsnaavatara of lord Vishnu. The amshaavtara represented by these planets have greatest proportion of Parramatta amsa. So the strength of these planets in the horoscooe and their association with 1, 3, 5, or 9th house or their lords indicates god’s blessing, karmic blessing or favourable fortune. 7. When most of the planets are posited in the brighter half of the horoscope i.e. from seventh house to lagna or from the third house to tenth house. Such persons are more prone to get success, name and fame. Planets from seventh house to lagna means planets are around tenth house which is the house of karma and planets from third to tenth house means planets are around the lagna the house of name, fame, personality and intelligence. When planets are in strength and posited around lagna or tenth house naturally their significations will have greater impact on the personality or karma of the native. 8. Planets in strength in vimshopak bala and Vishaikamsha give very good results. 9. Normally planets in the 1 (Kuber), 4 (kirit), 7 (mohan), 10 (indra), dwadasamsha give prosperity and growth. 10. 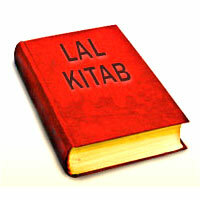 Indu Lagna and its lord should be in strength for financial gains and success. Now let us analyze horoscopes of four business magnets on the basis of above mentioned parameters- Horoscope -1 Bill Gates 28 Oct 1955- 9 PM-(Time Zone 8.00.00 West of GMT)-122W20’ 47N36’ Ascendant	22	Gemini	01' Sun	11	Libra	48' Moon	14	Pisces	28' Mars	16	Virgo	54' Mercury	23	Virgo	22' Jupiter	04	Leo	35' Venus	26	Libra	59' Saturn	28	Libra	24' Rahu	26	Scorpio	16' Ketu	26	Taurus	16' Indu Lagna	14	Virgo 28' Lagna Lord Mercury is exalted Indu Lagna in sign Virgo and Lord of Indu Lagna is exalted. Third lord Sun in the fifth house Neech bhang raj yoga. Fifth house lord is in the fifth house in Mool Trikon with exalted ninth house lord. Ninth house lord is exalted in fifth house. Paksha bali Moon in the tenth house. Bhadra Maha purush yoga, Lakshmi yoga and parijat yoga in the horoscope. Five planets in uttamansha. Second house lord Moon in the tenth house and paksha bali. Eleventh house lord is in Kendra with its exalted dispositor Mercury. Five planets aspecting eleventh house. Most of the planets in the darker half but around posited Lagna Lord Mercury and forming adhi yoga from natal Moon. Strength of 12 houses Lagna Lord , Indu Lagna Lord exalted, second house lord Moon in tenth house paksha bali,Neech bhang for third house lord Sun in the fifth house,fourth house lord Mercury is exalted, fifth hosue lord in the fifth house in Mool Trikon, sixth house lord Mars in kendra with its exalted dispositor Mercury, 7th house lord Jupiter is aspecting 7th house from third house, 8th house lord Saturn is exalted, ninth house lord Saturn is exalted, Though tenth lord is not aspecting tenth house but exalted Lagna Lord Mercury aspecting 10th house alongwith 11th lord Mars both planets are karaka of 10 house. 11th house lord Mars is in Kendra with its exalted dispositor Mercury, 12th house lord is in trine in its Mool trikona. 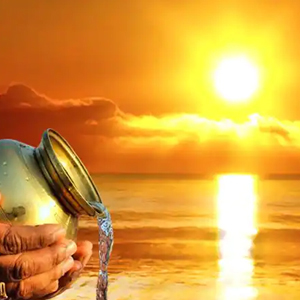 Strength of Planets Neech Bhang Raj yoga of Sun, Paksha Bali Moon, Exalted Mercury, Mars with its exalted dispositor, Jupiter in the third house in friendly sign, Venus in Mool Trikon, Saturn exalted. Horoscope -2 John D Rockfeller DOB -8 July 1838, TOB-11.55 19 PM POB -76W12’ 42N21’, Time Zone- 5.05 W. of GMT Ascendant	5	Aries	43' Sun	24	Gemini	55' Moon	16	Capricorn	32' Mars	24	Taurus	37' Mercury	20	Gemini	21' Jupiter	22	Cancer	49' Venus	15	Taurus	45' Saturn	0	Scorpio	52' Rahu	16	Pisces	43' Ketu	16	Virgo	43' Indu Lagna	16	Gemini	32' Lagna Lord Mars in the second house with its dispositor Venus, Indu Lagna in Gemini and its lord Mercury posited in this sign itself. Third house lord in the third house. Fifth house lord Sun in the third house with its dispositor Mercury. Ninth house lord Jupiter in the fifth house aspecting ninth house. Paksha bali Moon in tenth house. Adhi yoga, Amla yoga and vosi yoga. Second house lord in second house with Lagna Lord. 11th house lord Saturn in 8th house aspected by its dispositor Mars from second house. 6 planets are in tenth to third house. Sun, Mars aspecting ninth house and Moon in the tenth house. Strength of Houses Lagna Lord Mars is with its dispositor Venus, Indu Lagna in Gemini and lord Mercury posited there,Chandra lagna aspected by its lord Saturn, Surya lagna in Gemini and its lord Mercury is in Surya lagna, second house lord Venus in the second house, third house lord Mercury in the third house, fourth house lord Moon aspecting fourth house, fifth house lord Sun is with its dispositor Mercury, sixth house lord Mercury is in its own sign in third house, seventh house lord Venus is in its own sign in second house, 8th house lord Mars aspecting 8th house, 9th house lord Jupiter aspecting 9th house, four planets aspecting ninth house Karaka Sun is also aspecting this house, tenth house lord Saturn aspecting tenth house, 11th house is aspected by its karaka Jupiter. Strength of Planets Sun is posited with its dispositor Mercury, Moon in tenth house aspected by its dispositor Saturn, Mars is with its dispositor Venus, Mercury is in its own sign, Jupiter in friendly sign, Venus in its own sign, Saturn aspected by its dispositor and Lagna Lord Mars. Horoscope -3 Andrew Carnegie DOB - 25 Nov 1835, TOB - 6.00 AM POB -3 E29’56N4’, Time Zone - 0.13 West of GMT Ascendant	2	Scorpio	38' Sun	22	Scorpio	58' Moon	14	Gemini	56' Mars	26	Scorpio	29' Mercury	06	Scorpio	52' Jupiter	22	Gemini	34' Venus	08	Sagittarius	43' Saturn	21	Libra	16' Rahu	06	Taurus	48' Ketu	06	Scorpio	48' Indu Lagna	14 Libra	56' Lagna Lord Mars and Ketu (ketu is also assigned lordship of Scorpio) in Lagna with tenth house lord Sun and digbali Mercury, Indu Lagna in the sign libra with Exalted Saturn, third house lord Saturn exalted, fifth house lord Jupiter forming Gaj kesari yoga with ninth house lord Moon, ninth house lord Moon in Gajkesari yoga. Paksha bali Moon With Adhi yoga and Gaj Kesari yoga. Strength of houses Lagna Lord in lagna, second house is aspected by its lord Jupiter, third house lord Saturn is exalted, fourth house lord Saturn is exalted, fifth house lord in gaj kesari yoga, sixth house lord Mars in its own sign in lagna, seventh house lord Venus in second house aspected by its dispositor Jupiter, Exalted Rahu in the seventh house, 8th house lord Merury in lagna with its dispositor Mars, ninth house lord in gaj kesari yoga aspected by another natural benific planet Venus. Tenth house lord Sun in lagna with its dispositor Mars, 11th house lord Mercury in lagna with its dispositor Mars, Exalted Saturn in 12th house aspected by Jupiter. Strength of planets Sun is with its dispositor Mars, Moon pakshabali posited with Jupiter and aspected by natural benefic Venus, Mars in own sign, Mercury in lagna with its dispositor, Venus aspected by its dispositor Jupiter, Saturn is exalted. Horoscope -4 Dhiru Bhai Ambani DOB - 28 Dec 1932, TOB - 6 .57 AM POB - 70E26’ 20N53’, Time Zone - 5.30 East of GMT Ascendant	6	Sagittarius	20' Sun	13	Sagittarius	15' Moon	21	Sagittarius	22' Mars	24	Leo	12' Mercury	21	Scorpio	48' Jupiter	0	Virgo	12' Venus	15	Scorpio	30' Saturn	10	Capricorn	43' Rahu	18	Aquarius	14' Ketu	18	Leo	14' Indu Lagna	21	Scorpio	22' Sun lagna, Moon lagna and janma lagna are same in Sagittarius, Lagna Lord Jupiter in tenth house forming amla yoga from all three lagnas. Vargottama Venus and Mercury in Indu Lagna. Indu Lagna aspected by its lord Mars from ninth house. 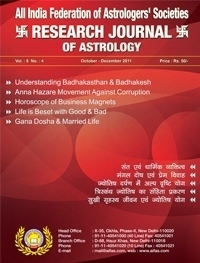 Rahu in third house in its own sign Aquarius and Rahu in Devlokamsha. Saturn the lord of second house is in its own sign in second house. Fifth house lord in the ninth house. Ninth house lord Sun in lagna. No pakshabala of Moon but Durghara and Amla yoga from Moon. Maha bhagya yoga, Ubachayari yoga, Durdhara yoga, gaj kesari yoga, harsha yoga. Strength of houses Lagna Lord in tenth house, second house lord in the second house, third lord is in its own sign, fourth house lord aspecting fourth house, fifth house lord in ninth house, sixth house lord aspecting sixth house, Jupiter aspecting sixth house, seventh house lord is with its Karaka Venus, eighth house lord Moon is pakshabal less, ninth house lord in lagna, tenth house lord Mercury is with Vargotama Venus aspected by its dispositor Mars, Jupiter in tenth house forming amla yoga. Findings 1. Maximum numbers of houses in all horoscopes are associated in PAC (position, aspect, conjunction) with their lords or karakas. I also found connections between planet and their dispositors. 2. Paksha bali Moon in all the charts with adhi yoga except Dhirubhai Ambani’s horoscope. In his chart Moon is posited in Lagna with Sun but it is in Durdhara yoga. With Venus and Mercury in the 12th house and Saturn in the second house in own sign Capricorn and Jupiter is forming Amla yoga being in tenth from Moon. 3. Most of the planets in all these charts are either exalted, own house or posited with their dispositors. 4. In all the charts lagna and Lagna Lord is in strength Either exalted, posited in lagna or with its dispositor or in tenth house. 5. Lords of first, second, third, fifth, ninth and eleventh houses in strength. They are either in Kendra or trine, or in mool trikon, exaltation or friends house. Except Carnegie whose fifth lord and ninth lord are posited in the eighth house in Gemini but forming Gaja kesari yoga aspected by natural benefic Venus and Lagna Lord Mars from lagna. 6. Most of the planets are posited either between seventh house to lagna or between third house to tenth house in all the horoscopes. Only In the horoscope of B Indu Lagna Lord gates most of the planets are in the darker half i.e. between lagna and seventh house, but they posited around exalted Lagna Lord Mercury and tenth house lord Jupiter. 7. In the vimshopak bala and Vishaikamsha also I got very good results. In Dhirubhai’s chart Rahu is in the Devlokamsha A planet in Devlokamsha means strong in 7 out of ten vargas. And a planet in devlokamsa makes a native highly intelligent and he puts his knowledge for the good of society in Rahu/ Rahu period he founded Reliance indudtries in year 1966. 8. In his chart Jupiter lord of his lagna, Sun lagna and Moon lagna is posited in the tenth house from all these lagnas and aspecting fourth house, even in all the varga charts in dasavarga Jupiter is either posited in the 4th house or aspecting 4th house, or 4th house lord. Fourth house shows public image of the native. Dhiru Bhai was the first who introduces stock market to the average investor. Thousands of the investors attened Reliance Annual Genral body Meeting which was held in a football stadium with millions more watching in TV. This AGM was held in 1986 in the Jupiter/ Jupiter period. 9. 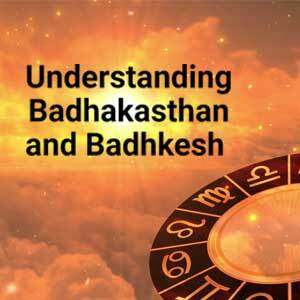 In the horoscope of B Indu Lagna Lord gates Venus is with 16.27 points in vimshopak bala and it is posited in its Mool trikon in the fifth house with exalted Ninth house lord Saturn. Next in order in vimshopak bala is Mercury with 14.67 points. Mercury is exalted in his horoscope. In Mercury/ Venus period in 1975 he founded Microsoft Company. 10. In the horoscope of Andrew Carnegie Saturn is exalted and it is with 16.95 points in vimshopak bala and Saturn is in Parvatmsha ( strong in six out of ten vargas). He excelled in Steel business. He founded Carnegie steel company in Saturn / Moon period in the year 1870. Moon is lord of ninth house forming gajkesari yoga with Jupiter and aspected by another benefic Venus. Moon is paksha bali and in Adhi yoga also. 11. Normally planets in the 1 Kuber, 4 kirit, 7 mohan, 10 indra. dwadamsha give prosperity and growth. John D Rockfeller who is still considered world’s richest person (after adjusting to inflation data) even after 70 (approximately) years of his death, In his horoscope all the planets except Mercury are in 1,4,7, or 10 dwadasamsha. 12. Indu Lagna and its lord is in strength in all the sample horoscopes.In Bill gates horoscope Indu Lagna is in Virgo sign and Exalted Mercury posited there, In the horoscope of John D Rockfeller Indu Lagna is in Gemini and its lord Mercury is posited there, In the horoscope of Andrew Carnegie Indu Lagna is in Libra with exalted Saturn and in the horoscope of Dhiru Bhai Ambani horoscope Indu Lagna is in Scorpio, Vargottama Venus and Mercury are in Indu Lagna aspected by its lord Mars. 13. Mercury the planet of trade and commerce is in strength in all the horoscopes. Exalted Mercury in the horoscope of Bill Gates, Mercury in Gemini in the horoscope of John D Rockfeller, Digbali Mercury in lagna in Scorpio with dispositor Mars in Andrew Carnegie horoscope, and Mercury with Vargottama Venus aspected by its dispositor Mars in Dhirubhai Ambani horoscope. Thus after analyzing horoscopes of these business magnets I have come to the conclusion that strength in lagna, lagnesh, Moon is most important for success and fame and Planets in strength in dasavarga gives success and recognition.